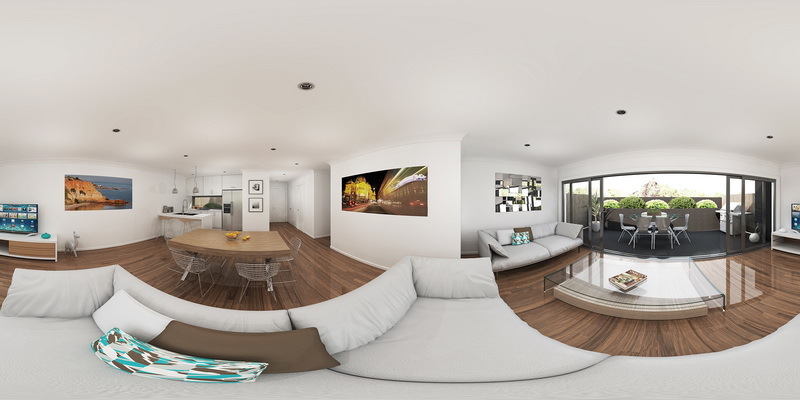 Panoramic images are a brand new method of show casing an interactive view of your internal space, enabling the prospective client to browse around the entire space, getting an even greater feel for the layout. Becoming increasingly popular for use on sites such as realestate.com.au and linked to any other online marketing material. Visit our contact page to call or email our team with any enquiries. Animations are a fantastic marketing tool for larger developments that may require a broader overview of both the size and scope of the design as a whole. They are perfect to give your prospective purchasers a feel for the final product once constructed.